Stuck In The Buckosphere: Morning show... TOOOOO much fun??? So I have been working the full morning shift all week... it has been at least 11 hours each day (depending on the weather)... and it has been a LOT of fun so far. 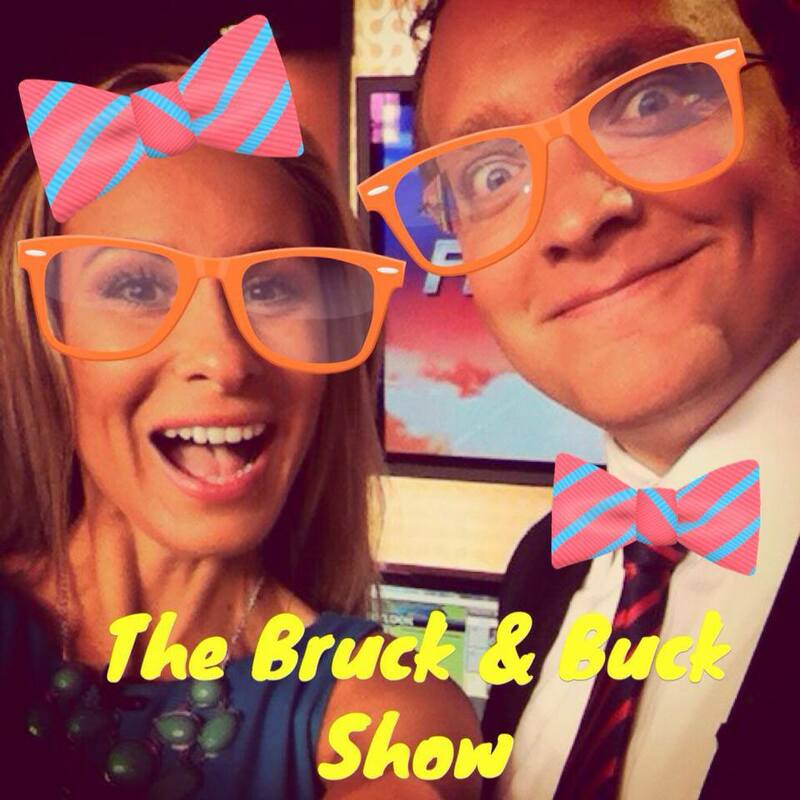 So while Pete Scalia and Shawn Ireland are doing the 9AM hour, Carolyn Bruck and I have been tossing out ideas on how fun a Bruck & Buck Show would be. There would be a lot of laughing, naturally. So today Pete and I decided to get into our virtual car at the green screen and go for a ride. Guess where we went? To the fireworks store. 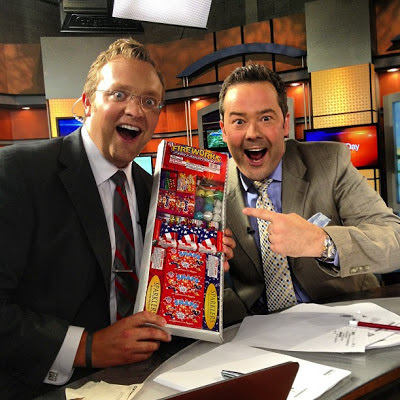 Not really, but we DID have a fireworks segment on-air today. I would have posted a picture, but I was too busy lighting the fireworks. All were legal in the state of Ohio... (Plus the Fire Department was already on our property) It was like kids at recess. Too much fun. Anyway, just thought I would share some of the pics from the fun. 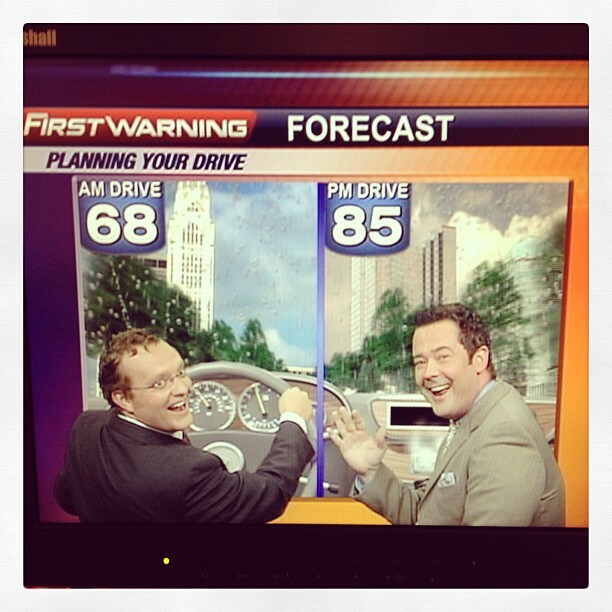 I have the forecast in the previous entry. Have a good one!